On that note though, I’d love to announce the premiere of a nice music video adapted to the song “Coming Home” off of the new Peachtree Battle EP (grab it on iTunes or vinyl/cd). It’s a really beautiful story and really hits close to home, as it was shot just 2 days after my Father’s passing. The kind folks over at NPR are premiering it. We also are having a special preorder starting on black friday for the award winning Documentary “Out of Focus” that will put it under your Holiday tree in time for.. Well.. The Holidays. If you missed the announcement last week, I’m releasing some new music very very soon (14 days soon)! 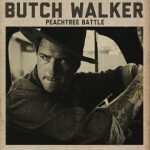 The EP is called PEACHTREE BATTLE and is in honor of my late father. I’m really proud of how it turned out. I know he would have been too. It will be out digitally on September 17th via Dangerbird Records in the states and Lojinx in UK/Europe. The good news is you can PREORDER THE RECORD now on iTunes. If vinyl is your thing, you can preorder a copy through my webstore, or through the Lojinx store if you live in the UK/EU. 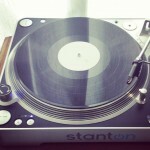 Just note the vinyl will not be released until October 22nd. Here’s a whole list of US Tour dates for ALL OF FALL (OCT-NOV), with more to be announced later. All of the dates go on sale this Friday 9/6. My Father was my hero, my best friend, and biggest fan… he would have wanted me to do this and i plan on doing him proud. So come out and celebrate with me, in honor of the MAN.